The California Department of Forestry and Fire Protection (Cal Fire) declared at 6 a.m. on Dec. 23 that the Tomas fire had broken the state’s record on Friday. The previous record-holder, the Cedar Fire, had lasted for 46 days and burned 273,246 acres in San Diego County. The Thomas Fire has destroyed 1,063 structures, damaged 280 structures, and killed two people. It is expected to burn until the second week in January. Cal Fire reported that since January 1, wildfires have burned 635,000 acres in California’s national forests. Cal Fire ranks the 2017 wildfire devastation “well above both 5 & 10-year averages” by size. But AccuWeather estimates the costs for fighting the fires, property losses, and business interruptions is tracking at an all-time-record of $180 billion. 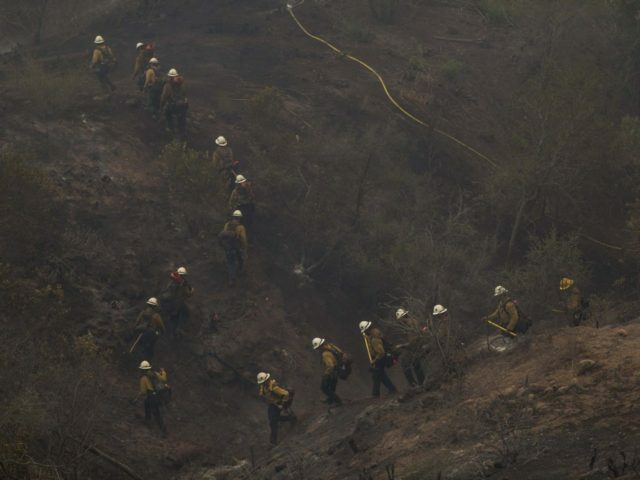 The regional office of the US Department of Agriculture’s Forest Service in the afternoon of Dec. 23 posted on its website that hundreds of firefighting crews working the Thomas Fire over the holidays are feeling “well-cared-for” because, “We feel the Love!”. The BEST gift you can give us is to give to those in need this Holiday season, especially those folks who have been impacted by the Thomas Fire. Give us a warm smile, a wave, a cute poster by the roadway, but please give your financial support and donated supplies to local assistance organizations.